NEW YORK, Dec. 6, 2018 /PRNewswire/ -- Reboundwear announces the launch of their children's line available exclusively through Zappos Adaptive. 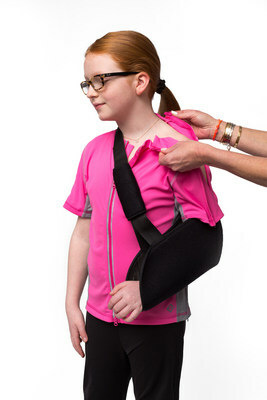 Reboundwear Kids is cool looking, functional, and fashionable, adaptive clothing. The athletic wear styles are made with a unique configuration of zippers and panels that make dressing quick and easy for a child's everyday needs. Reboundwear announces the launch of their children's line available exclusively through Zappos Adaptive. Reboundwear Kids is cool looking, functional, and fashionable, adaptive clothing. The athletic wear styles are made with a unique configuration of zippers and panels that make dressing quick and easy for a child's everyday needs. Reboundwear Kids - Sophia Top Reboundwear announces the launch of their children's line available exclusively through Zappos Adaptive. Reboundwear announces the launch of their children's line available exclusively through Zappos Adaptive. Bimla Picot, founder and designer at Reboundwear, created her line of adaptive clothing out of frustration that she couldn't find any clothing that look like the styles of the 21st century for her own family and friends who were suffering from injuries and illnesses. Picot realized that her friends and family were just like the 50 million Americans with mobility issues who find it difficult to get dressed in regular clothing. With a background in high fashion and design she set herself to the task of designing clothing that would bring style and humanity to this underserved market. In creating her designs, she incorporated the feedback from a focus group of medical professionals as well as physical and occupational therapists at a world-renowned hospital in New York City. At the end of the session, several participants of the group approached her to say that the thought her Reboundwear clothing designs would be life changing for patients and their caregivers because the garments would save time and reduce the stress of dressing in regular clothing for all kinds of patients. They also stressed the fact that most of the patients they see, whether they have had an injury, suffering from a chronic disease, or were disabled, spend some time in physical or occupational therapy and that it was wonderful to have appropriate clothing that was comfortable for their sessions, and at the same time, adaptable for their medical and orthopedic devices. "It was gratifying to hear validation form the professionals who work with a spectrum of individuals day in and day out year after year, said Picot. "But what struck me most was, at the end of the session, a group of therapists approached me and said, 'Just so you know, kids care more than anyone else about the clothing they wear, and they really hate wearing a hospital gown or having to be exposed for treatments.' These words resonated with me as a mother. And like most mothers, I would do whatever I could to spare my children any unnecessary embarrassment, pain or suffering." Now, with Reboundwear Kids, all children can maintain their dignity and style, regardless of an injury, illness, or disability. 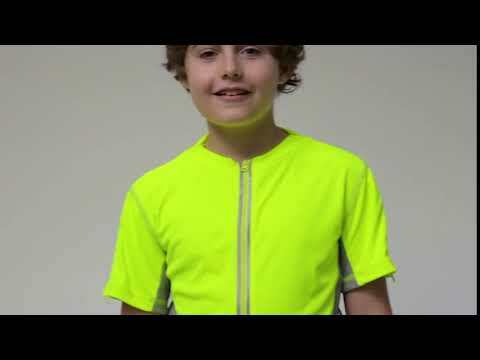 And best of all, Reboundwear Kids, looks so cool, they'll want to wear it all the time. Reboundwear is a female founded clothing company that's disrupting fashion and bringing humanity back to healthcare makes fashionable, luxurious, athletic adaptive clothing.